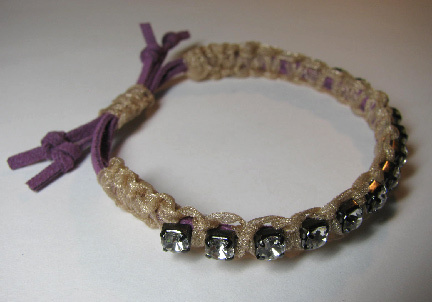 Beading Arts: Shamballa ribbon bracelet for summer! I love love love this bracelet that I made several years ago, and I still wear it a lot. But with all the gorgeous summer colors that are available right now in suede cord, cup chain, and ribbons, I think it's worth revisiting and maybe making some more! Instructions for this unique take on the Shamballa bracelet are at the link! Discovered by accident and what a happy one.. A fabulous display full of creativity. Three cheers for Happy Accidents!! Thank you for the visit, Tracey!